Defense Dept. 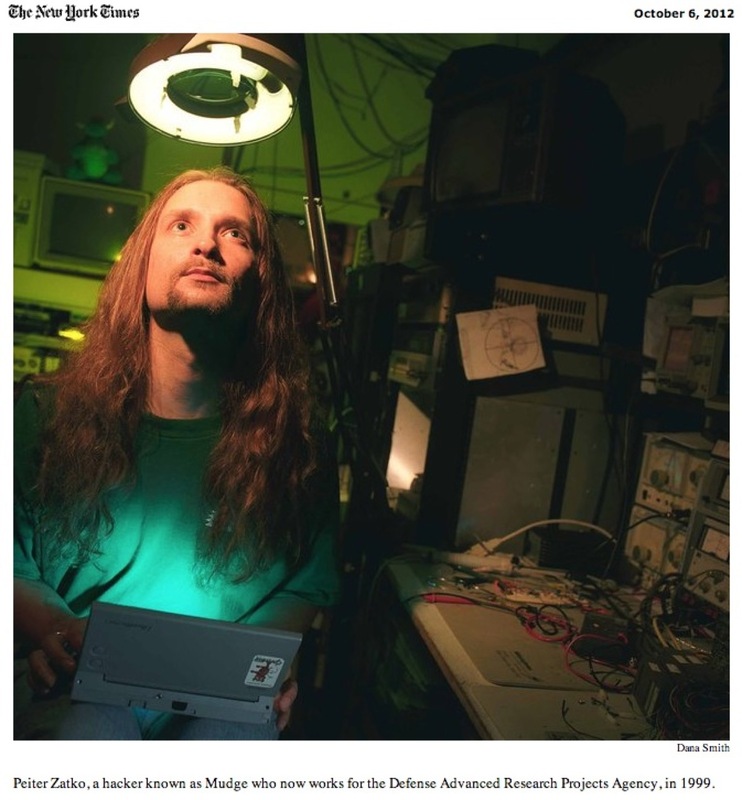 Money for ‘Hackerspaces’ « Adafruit Industries – Makers, hackers, artists, designers and engineers! Defense Dept. Money for ‘Hackerspaces’ @ NYTimes.com. This fall, 16 high schools in California started experimental workshops, billed as a kind of “shop class for the 21st century,” that were financed by the federal government. And over the next three years, the $10 million program plans to expand to 1,000 high schools, modeled on the growing phenomenon of “hackerspaces” — community clubhouses where hackers gather to build, invent or take things apart in their spare time. Love the Toshiba Libretto – I still have a couple of those hidden away somewhere. Was a great tiny little purse-sized computer, could run linux just fine, and fairly quickly too. Pity it maxed out at 64MB of RAM. The ’99/Today pics of Mudge are pretty funny..
My comment at the HOPE 9 conference was to all those who are concerned about ethics that of what will happen at the MENTOR high schools — GET INVOLVED! Go volunteer to help and be the voice of reasonable peace. You’ll probably find there isnt any military presence/push/agenda there — other than what the kids might bring with them… Hackers do like to blow stuff up. And the SpaceGAMBIT kickoff is happening soon. Watch for our Requests for Input and Proposals — we are going to focus heavily on the education, community outreach and inter-space collaboration in the early years. Again, GET INVOLVED! Your voices can make a difference.